That’s Half Price! 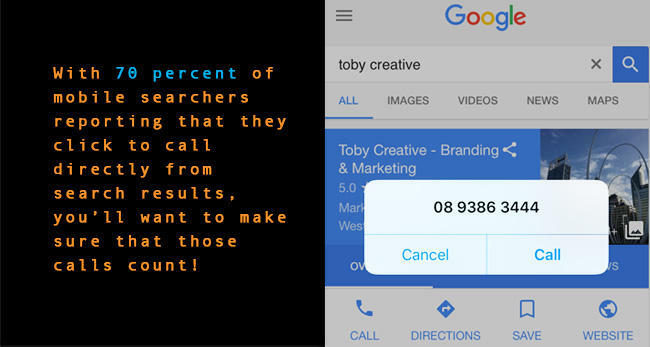 Toby Creative – Branding & Marketing in Perth, WA are a Google Partner Agency and our staff are Google Adwords certified professionals. Our special offer for November 2017, is to offer your business half price off our already very affordable Google Adwords Management fees. Never tried advertising on Google Adwords? First time Google Adwords clients will also receive a FREE $100 Adspend after spending their first $25. Sign-up now, and we’ll arrange a no-obligation, free meeting at your location, to take you through our Google Adwords presentation for your business and show you the 3 R’s of Google Search: reach, relevance, and results – giving you an ROI (Return On Investment) projection for your campaign. According to Google, people conduct more than 100 billion Google searches each month. When people realise they want or need something — a product, a vacation, a family activity, a piece of information — they instinctively turn to search. People search throughout their day in “want-to-know,” want-to-go,” “want-to-do,” and “want-to-buy” moments. 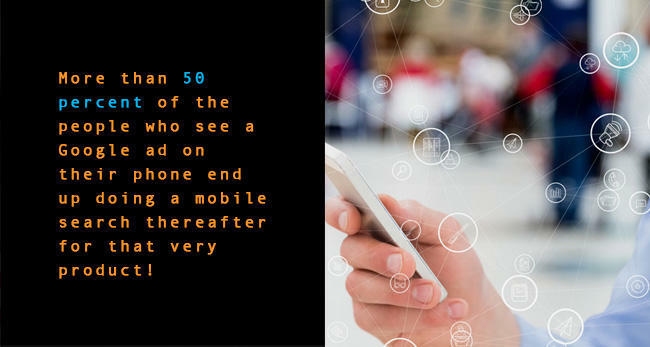 Mobile has forever changed the way we live and what we expect of brands. It’s fractured the consumer journey into hundreds of real-time, intent-driven micro-moments — each one a critical opportunity for brands to shape our decisions and preferences! 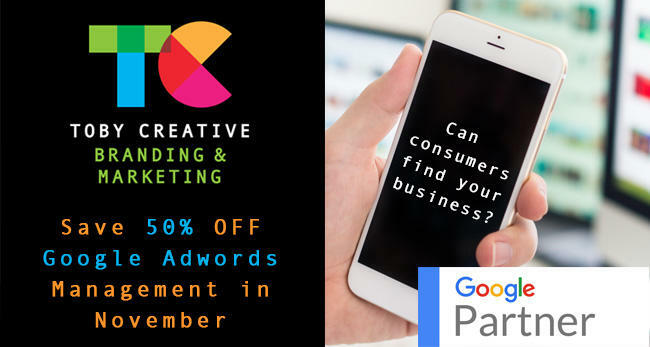 Toby Creative – Branding & Marketing, carefully manages your Google Adwords PPC (Pay-Per-Click) advertising, using a sophisticated targeting system that helps you show your ads to the right people, in the right place, at the right time. Use keywords, location, demographics, and more to target your campaigns and drive them to perform actions within your business – filling in a form, phoning the business, drive the consumer instore, making a purchase in your online store, or other specific desired actions. Be there with the right message for existing customers as they search on Google, check Gmail, or watch videos on YouTube. Consumers on average, spend 15+ hours per week researching and at least six visits to a website during the purchase process, you’ll want to make sure you get that ad messaging right. Contact Toby Creative on (08) 9386 3444, email info@tobycreative.com.au or fill in our contact form on our website.